Once again I’m joining in with the very lovely Gillian. 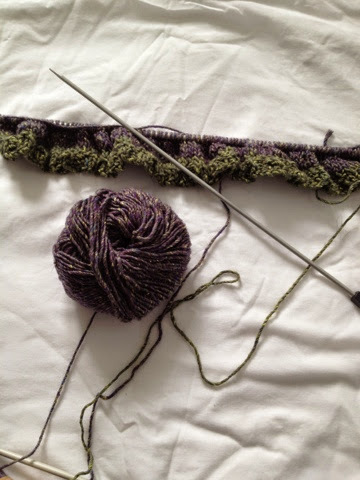 I’ve finally cast on some new knitting. This time it’s a hat for me. I received the pattern and the wool as a gift last Christmas and then, of course, by the time I’d finished the dog for LittleR it was way too warm to even consider making a hat for winter. It’s an easy knit and is coming along apace. So much so I can already see the finishing line. Maybe I should’ve taken another picture of progress so far? Although it may be too warm for a hat. Although I’ve dredged the boots out of the wardrobe, I’ve actually been coatless today. Outside. In Leeds. At the end of October. The weather is unseasonably warm. 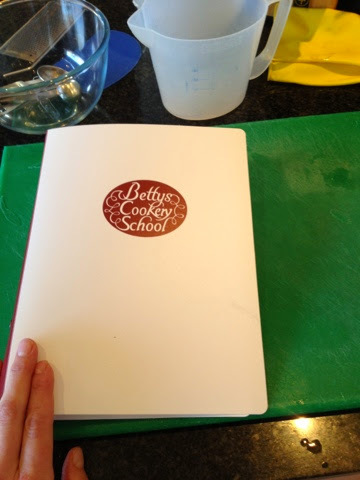 I used a birthday voucher for a trip to Bettys Cookery School last week. It was brilliant. Not only did I make some delicious dishes to take home I was well fed and watered during the day with lots of Betty’s cakes and biscuits. It was a smaller course than normal and I chose the ‘One Pot Wonders’ day – although there were so many tempting courses to choose from. 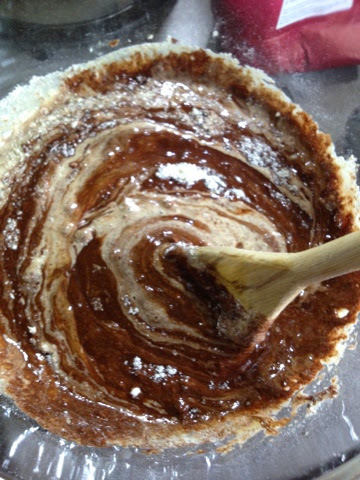 I thought it would be better to try out some things I might actually cook again rather than a patisserie day or elegant entertaining – both brilliant but the former is too much faff for a school day and the latter unlikely to happen until my children leave home. We ate like Kings for the next 3 days as the ABO and I tucked into; Lancashire hotpot, Steak and Mushroom Pudding (thanks to an IG cry out Sue saved me from a steaming faux pas) and a chicken, chorizo and bean stew. There were also Autumn fruit charlottes. And we didn’t have 2 each. With ice-cream on the same night. No not at all. I’ve already recreated the Lancashire hotpot – well what I mean is as is often my way I’ve changed it completely but just used the potato topping with what I had in the freezer!! This time it was a hotpot with beef and veggies in the pot. All this savoury cooking has meant I’ve needed some sweet treats to go with it. The ABO saw an interview with Hugh Fearnley-Whittingstall somewhere and was hankering after some of his ultra choc brownies (available in his new book). I resisted the book for about a week (I loved Everyday veg but wasn’t so keen on Three Good Things) but it has some interesting recipes in it and lots that can be adapted or are specifically for various ‘free’ diets (e.g. gluten free). 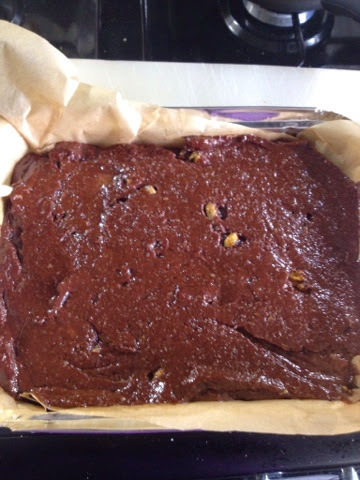 The recipe for these brownies is gluten free but my supermarket didn’t have any rice flour or gluten free flour and as that isn’t a necessity in our house I just used regular flour. It didn’t seem to make a difference to the outcome. They were (please note use of past tense) very, very chocolatey. The recipe is available online here. The garden continues to surprise me. 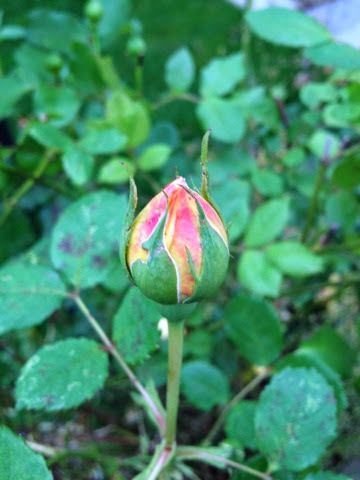 There are still roses about to bloom. 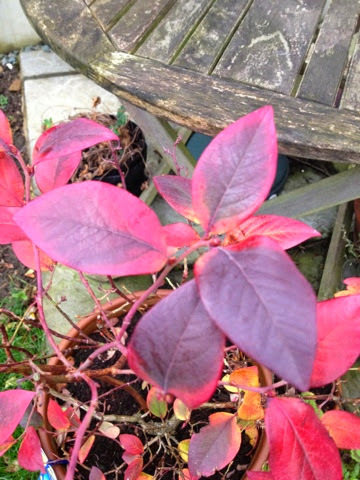 The blueberry leaves have turned the most gorgeous red. 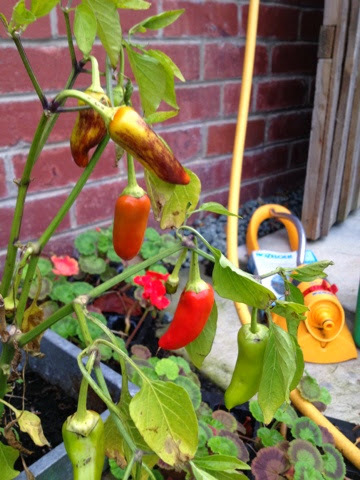 And the chillies continue to ripen (until LittleR picks them and attempt to chop on one…fortunately she stopped before she bit into it!). I’ve been browsing some seed catalogues and bulb seller websites and getting totally carried away. Although I’m not usually a fan of the actual day (or the days after) the clocks change (one of my children thinks 4am is a newly acceptable time to put the lights on! 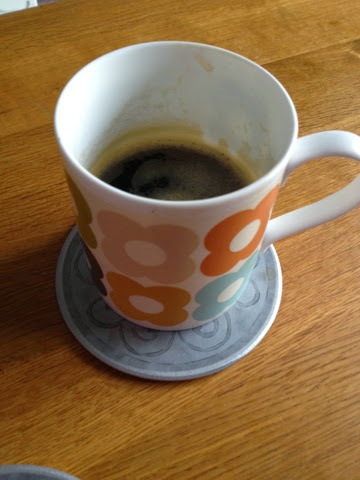 ), I’m trying to embrace it this year with more coffee opportunities and extra time awake to chat to BigR and read or knit especially as the ABO is on an early shift. Hopefully normal (by that I mean post 5am!) service will be resumed shortly. I would love to go on a cookery course. And I agree it would have to be something more useful than fancy cakes. 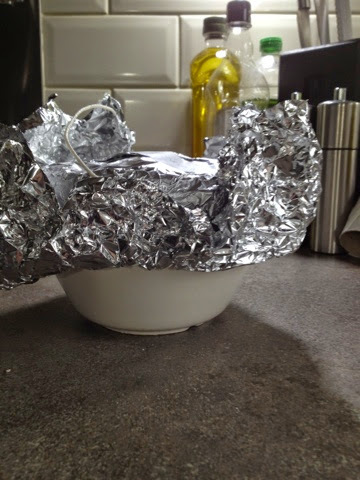 My sister in law has asked me to bake her some brownies for he birthday this week. I rule the world of the brownie as far as my family are concerned! My roses are still flowering too. Something I didn't anticipate in October. It's been very mild here the past few days but last week I did wear a hat for the first time since last winter. I'm looking forward to wearing hats more often as the weather gets chillier.